March 22nd – We join the celebration of the WWD 2019. N-EXPO 2019. Mark your calendar: 12 – 15 March. Tokyo – Japan. You can meet us at EU Pavilion L-416 at Tokyo Big Sight, East Hall 4. The INTEGROIL pilot plant is in operation in the downstream scenario. 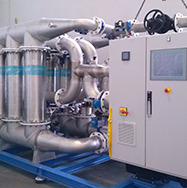 Demonstration of Likuid-CBR® technology for refinery wastewater treatment. 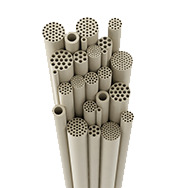 Ceramic filtration for produced water treatment and reuse in oil production. We have recently published this technical article in Tecnoaqua magazine. In this video you can see the construction works of the pilot plant and its shipment to the Tordera desalination plant (Girona). EDS Conference - Desalination for the Environment: Clean Water and Energy. We will present the outcomes of the INTEGROIL H2020 project. Meet us on 3–6 September 2018, Divani Caravel Hotel, Athens, Greece. June 5th – We join the celebration of the World Environment Day 2018. Likuid’s portfolio of ceramic membrane-based filtration solutions has been showcased in Kuala Lumpur. ASIA WATER 2018. Mark your calendar: 10 – 12 April. Kuala Lumpur – Malaysia. 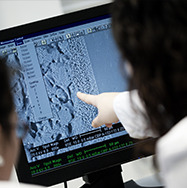 Likuid ceramic membranes in the Technical workshop ‘Applications of membrane technologies in the integral water cycle’. Organized by the FACSA Chair of Innovation in the Integral Cycle of the Water and the Jaume I University (UJI). AQUATECH AMSTERDAM. Mark your calendar: 31-october / 3-November. Amsterdam – The Netherlands. You can meet us at booth 7.206 RAI Amsterdam Convention Centre. WEFTEC. Come and see us. Likuid team would like to thank all those who visited our stand at DRINKTEC (Münich) where we were presenting our pure titania membranes for applications in the Food & Beverage sector. Thanks for your visit! Likuid will be present at this year’s PROCESS EXPO trade show: BOOTH 1584. Likuid will be present at this year’s DRINKTEC trade show. BOOTH 128, Hall B3. INTEGROIL project: Towards increasing the sustainability of the Oil&Gas sector. The INTEGROIL project intends to develop and demonstrate a robust but flexible integrated solution for the treatment of water flows generated in the upstream and downstream activities of the Oil&Gas industry. Likuid’s products presented at the Water Technology and Environmental Control Exhibition & Conference in Italy. SG Projects – Likuid’s partner company in Italy – is presenting our ceramic membranes and filtration solutions at WATEC Italy, held in Palermo. From today until the 23rd June, you’ll be welcome at SG Projects’ booth to know more about our products and latest developments. Thanks to the OTF program (Overseas Trade Fairs) by SME Instrument-H2020, Likuid presents its ceramic membranes and the CleanOil solution in the IE-Expo China (IFAT). There we will show our products – ceramic membranes and filtration solutions – and the latest developments concerning our filtration systems for water treatment in a wide range of industrial sectors: oil&gas, food&beverage, chemical industry, etc. The Enterprise Europe Network (ENN) is a program driven by the European Commission which is the largest European network to promote innovation, internationalization and competitiveness of companies. Together with the ENN and the Ravenna Chamber of Commerce, we are participating in the B2B event featuring our CleanOil ceramic filtration technology, supported by the H2020 SME Instrument program. INTEGROIL is a R+D+i project coordinated by ACCIONA Agua which aims at promoting the reuse of water in the oil and gas facilities. The project involves another nine European entities from seven countries, among them technology companies (LIKUID, APLICAT, InnoTek21, BWA, REP), universities (URV), consultancies (2.-0 LCA Consultants), professional platforms (EDS) and oil and gas sector companies (TUPRAS). The project’s website, launched after the technical meeting held recently in TUPRAS (Turkey), is expected to be the reference tool for the dissemination activities and will communicate and inform the industry, the scientific community and the general public about the progress of the project. Last Thursday 28th July, Likuid was awarded with Iñaki Goenaga award, which recognizes entrepreneurial excellence. The INTEGROIL project, coordinated by ACCIONA Agua with a budget of over five million euros, involves another nine European entities from seven countries, among them technology companies (LIKUID, APLICAT, INNOTEC21, BWA, REP), universities (URV), consultancies (2.-0 LCA Consultants), professional platforms (EDS) and oil and gas sector companies (TUPRAS). On 7 and 8 July FACSA Innovation Chair in Water Cycle of the Universitat Jaume I launch 1st Technical Conference in wastewater treatment: Anaerobic Digestion. During this technical session Likuid will present "Anaerobic MBR with ceramic membranes for complex wastewater treatment"
This year we are also present at IFAT. STAND 509 Hall A3. The H2020-SME Instrument program supports the innovative companies with high potential for international growth through the funding of those activities intended to boost the exploitation of their breakthrough innovation. Likuid participates in the H2020-SME Instrument workshop organized by CDTI. Invited by the CDTI (Centre for the Development of Industrial Technology, Ministry of Economy and Competitiveness-Spain), Javier Lopetegui – Likuid’s CEO – participated as a speaker in the workshop held in CDTI’s venue (Madrid). Likuid will be present at this year’s IFAT trade. STAND 509, Hall A3.